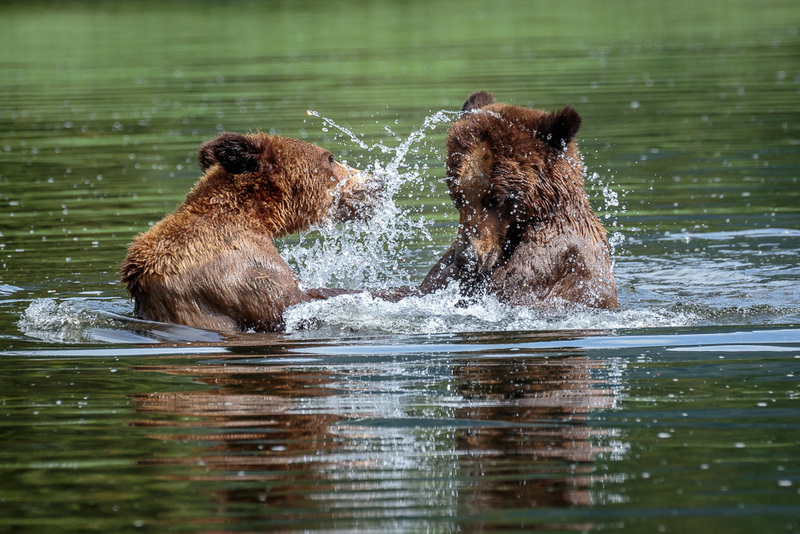 After experiencing the sheer magic of Day 1 photographing grizzly bears in Khutzeymateen, British Columbia, anything I got after that was icing on the cake. I captured more astonishing moments on Day 1 than I dared to dream of! So when we set out on the second day I had a feeling of calm joyfulness knowing that I had already achieved my goals and I could just relax into the experience. I expected it to be similar to the first day, but it was not. I soon found out that every time we ventured out into the estuary there were new discoveries to be made. There were different bears doing different things, the weather was different and the tides were different. Day 2 turned out to be quite a warm day with very little rain for this part of the world and I think the bears were excited about it for this day was all about playtime! Just like any of us would do on a warm summer day, it was time for some swimming. … and then the fun really begins! … so they went up on land to check it out. Finding nothing, playtime resumes! They went in and out of the water a few times while play biting, shoving, and wrestling. 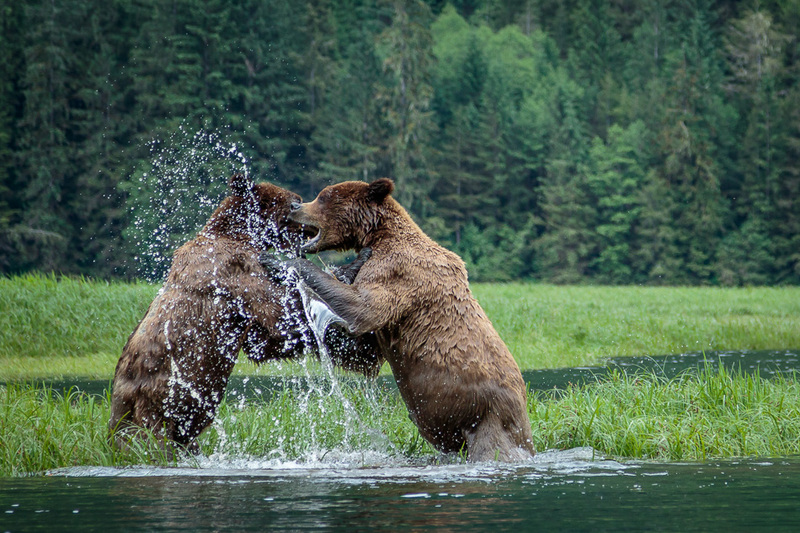 This was very entertaining to watch and I felt privileged that the bears felt comfortable enough with our presence to simply ignore us and get on with their bear business. After watching this interaction for awhile, we decided to give them their space and move along to see what else was going on in the estuary. 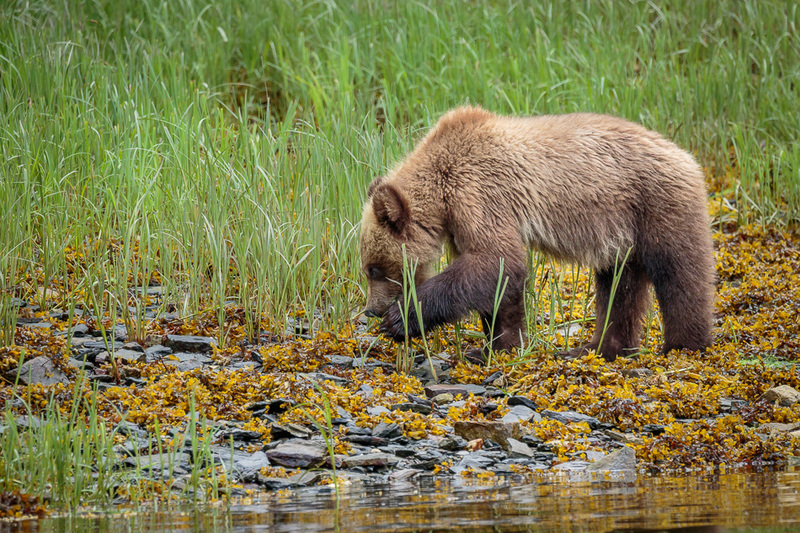 We saw a bear cub walking along the shores with her mother close by. This little cub was such a cutie looking at us out of the tops of her eyes. 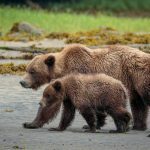 Even with my previous experience of the bears being comfortable with our presence, I was surprised that the mother bear wasn’t at all worried about us even when she had a cub. This place is a remarkable feat. 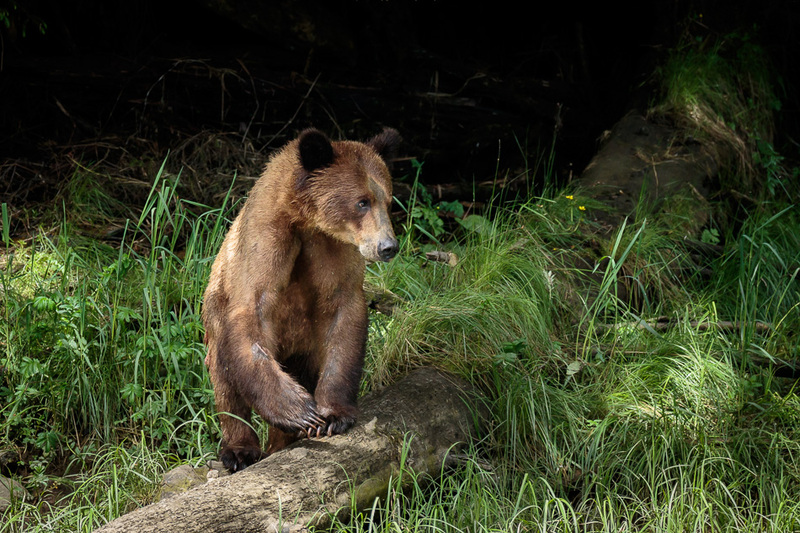 Establishing a sanctuary for grizzly bears where they are safe, and ensuring that the few humans that enter the sanctuary respect them, has resulted in a place where grizzly bears can be bears and humans can observe their mysterious life. 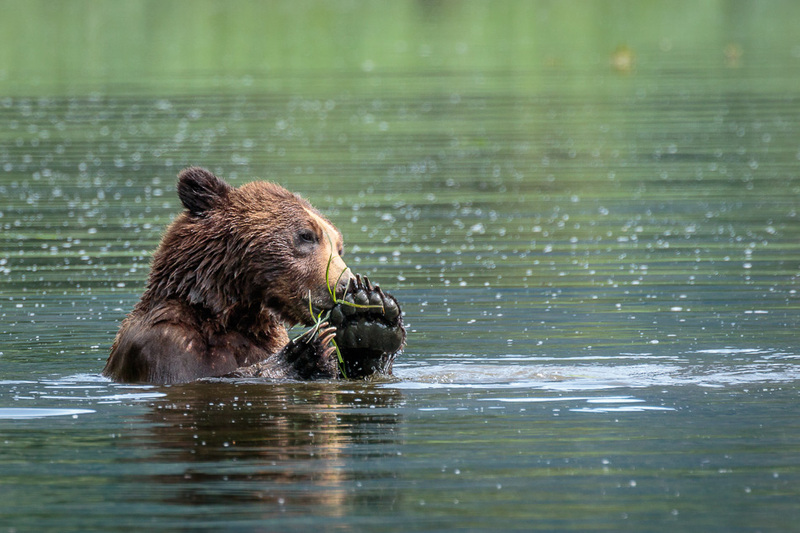 Spectacular grizzly pictures. You are so fortunate to have access to this wonderful preserve. Thank you very much Clarence! 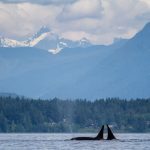 British Columbia is a beautiful province and we are lucky to have such special places saved for the wildlife. 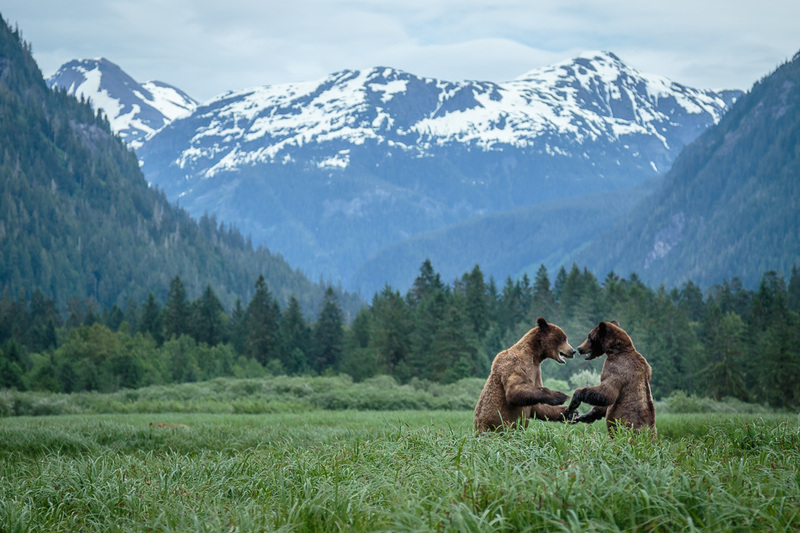 I’ve never seen Grizzlies fighting (even in my Nat Geo & Alaskan DVDs. Many thanks Vicki. 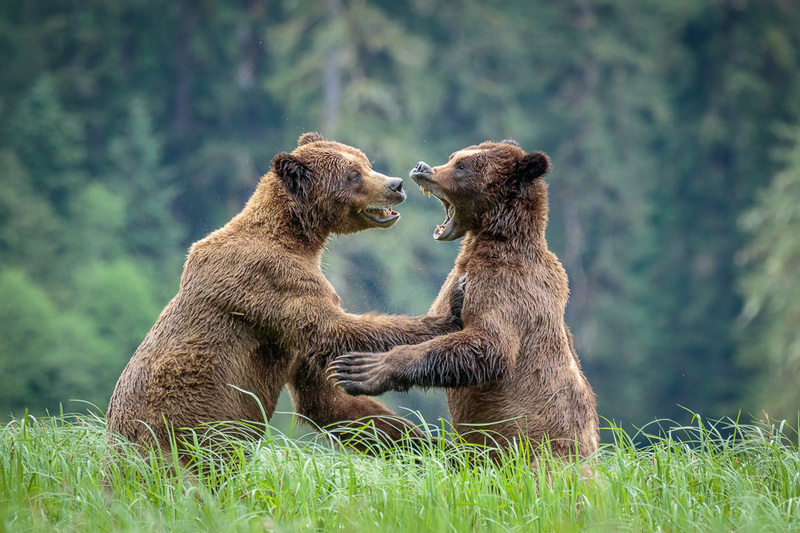 The grizzlies were just play fighting and romping around. Although they look quite serious in the photos, don’t they? I think they are like dogs that way. They play fight, but when things get serious you would know about it. These guys weren’t serious. They were even splashing each other, haha. Thank you very much Jon. These are some of my favourite photos I’ve ever made in my life. I feel extremely lucky to have been able to experience it. I absolutely LOVED the bears 🙂 I have a new passion now and I’m really looking forward to more bears next fall in BC. Oh, my! 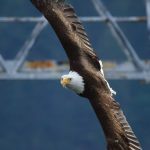 These photos are absolutely amazing! I feel like I have a front row seat to this amazing animal kingdom! Awesome, that was my intention!! 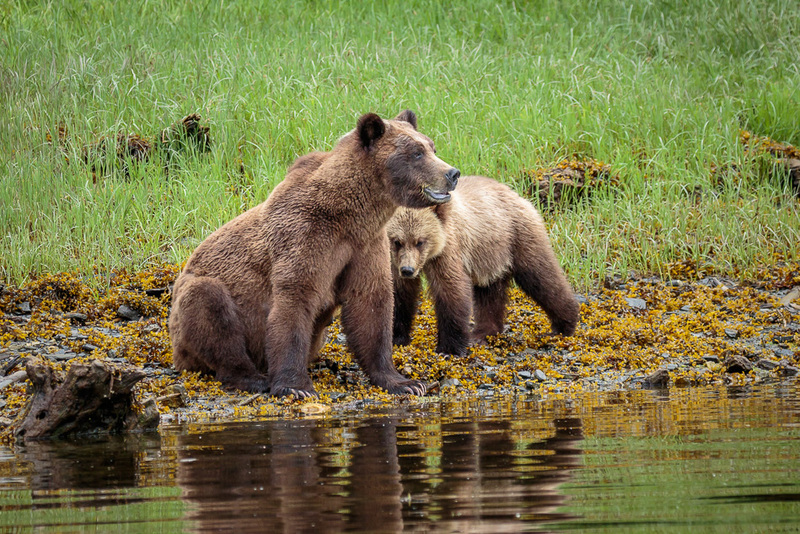 This is not an easy place to go to and it’s so important that people know how special it is and how important it is to protect both the wildlife and the habitat. Thanks for your comments. 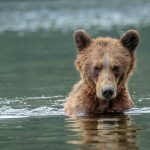 These photographs are fantastic and you captured very beautiful moments of bear when they playing, I love these photos. Many thanks Faisal, I really appreciate your kind words 🙂 It means a lot to me. It was an incredible experience I’ll never forget. Thanks for your visit and comments Dale. What a great adventure for you to experience. Thanks for sharing with us. It really was amazing. Sometimes I still can’t believe I got to go and see these incredible animals. Thanks for your visit and comments Charles. Even though they are usually vicious, they look very playful in your photos. I’m sure they probably can be. 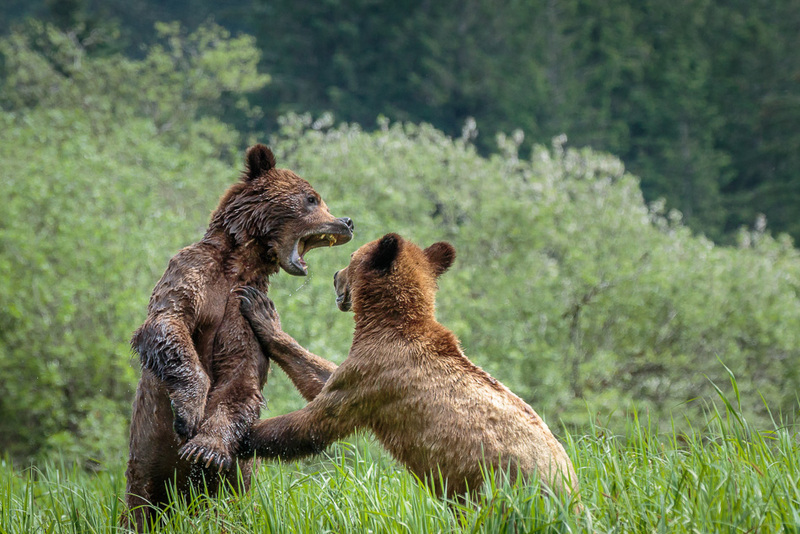 Bears do kill other bears, especially when fighting over a female. But these guys were just having a play date 🙂 It was a riot to watch them! Thanks for your comments Robert. Could one get away with a 70-200mm f4 stabilised lens, I guess you’ve used something like a 400mm f 2.8.? 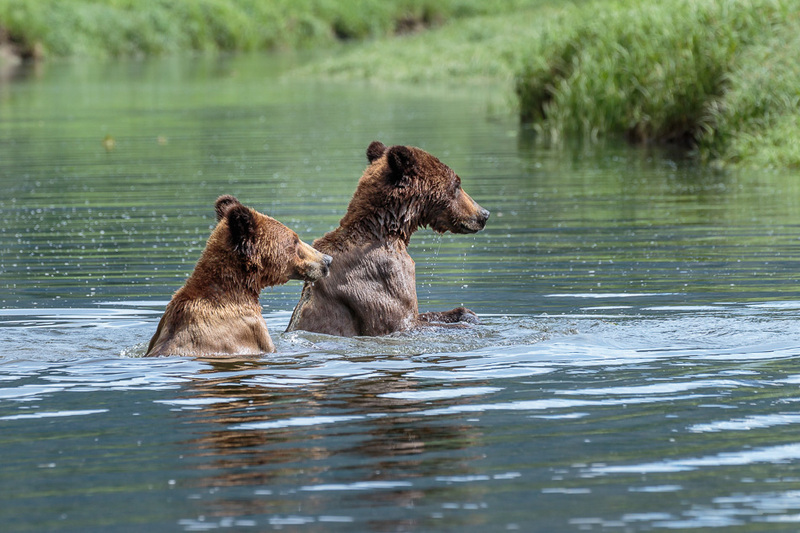 A trip to the Grizzly Bear Khutzeymateen Sanctuary would be a really good holiday add, but then I found the cost of a pre-booked slot is about $2,500 which may not be do-able on top of a trans-Atlantic air fare! Hi Donald, I would say that a 70-200 would be minimum. 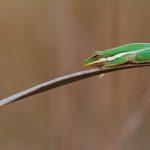 I used a 100-400 f/5.6L and I found the range to be just right. You are quite correct though, it is a pretty expensive trip, but a very unique one. Thanks for your visit and comments. Yes, they are! Good observation. I sometimes think they are a lot like dogs. But more dangerous 🙂 Thanks for your comments. Thanks Joe. I went in June. The bears had just come out of hibernation which is why they look a little on the skinny side. Although they were huge!! Anne, thank you for sharing your wonderful pictures and stories. 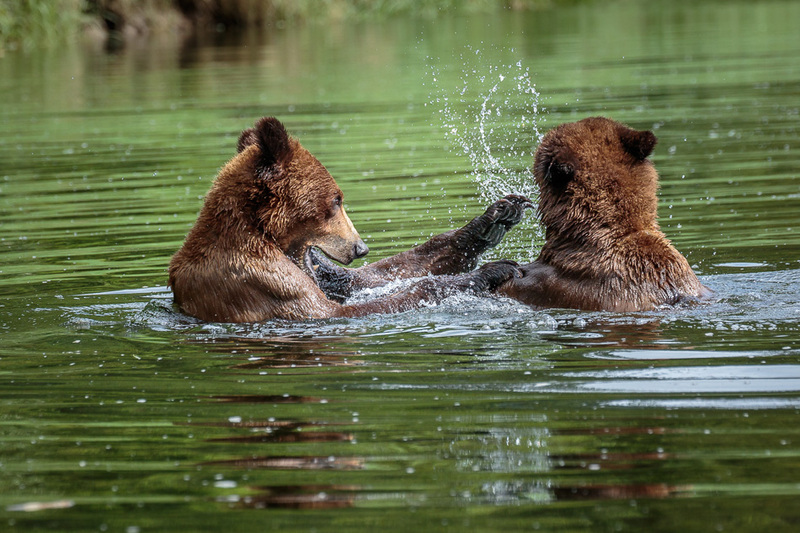 The pictures of the Bears are wonderful captures and you have a great way of telling stories. 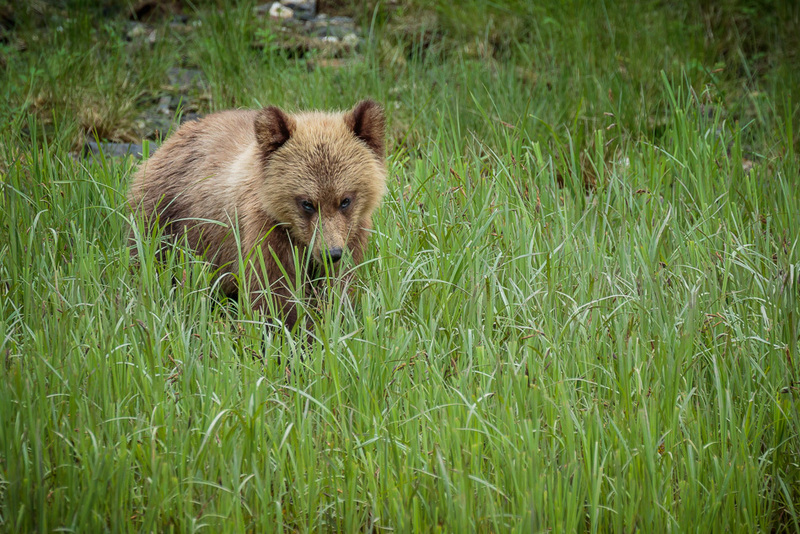 We have Bears here, no Grizzlies but Black Bears and although I have seen them, I haven’t been able to get any pictures because the times I have seen them I was driving and they are gone into the trees before I can even stop lol. They are on my photography bucket list along with other creatures. 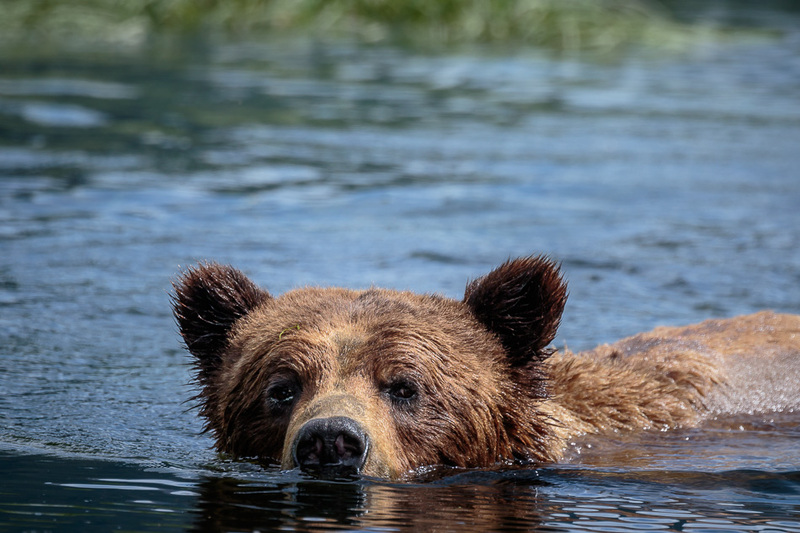 After reading your story and seeing the pictures I’ve added a trip to the Grizzly Bear Khutzeymateen Sanctuary my photography bucket list. Hi Bob, I’m glad I could help add something to your bucket list 🙂 A very worth while destination for sure. I have had the same experience as you have with the black bears! Always a back leg or just a bear bum as it runs away. 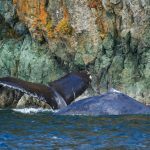 Although last year I was lucky and saw one on shore while I was on my boat and so I was able to get fairly close without it running away. Thanks for your comments!